While some industries are still struggling to regain their footing in the aftermath of the Great Recession, one comeback kid is the hospitality industry. After struggling for years to attract wary private and corporate travelers alike, this industry is enjoying a very profitable period, the best it has seen since the 1970's. This boom period is entering its fourth year, and until supply catches up with demand, i.e. enough rooms for every potential traveler, it's a boom period for the construction industry as well. At the beginning of 2014, there were almost three thousand new hotel construction management projects underway in the United States, translating to more than three hundred and fifty thousand new rooms. That's an almost seventeen percent increase over 2013, which in turn saw an almost fifty percent increase over 2012. The increased need for new rooms overall is due to more private travelling in addition to increased corporate conferences and training, but what parts of the country are really benefitting from this growth of hospitality industry? For a few years, as fracking teams moved into the Mid-Atlantic and Mid-West, construction on new hotels picked up in these regions as accommodation for new temporary workers was needed. 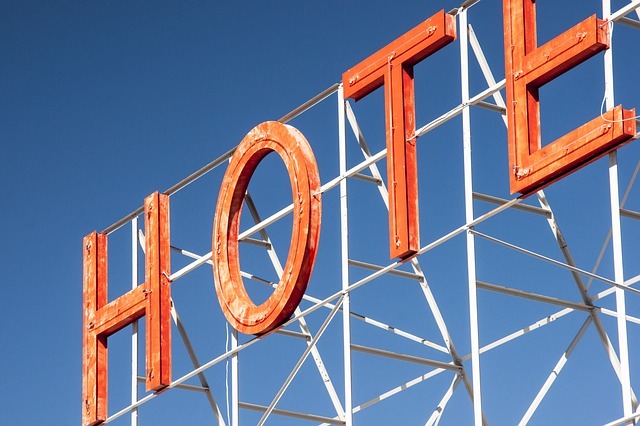 But as that boom shrivels up in the face of competition from cheaper overseas oil, contractors are looking at hotel building opportunities elsewhere. Las Vegas, Nevada saw the start of ten new hotel casino projects here, much of them begun in 2014. These new facilities will incorporate lodgings, gambling (of course) and theater and entertainment facilities with a construction price tag in the tens of billions of dollars. In addition to all of these brand new facilities, a couple of existing ones are having major renovations done as well. Houston, Texas Visitors won't be lacking for a place to stay in that city soon, whether traveling for business or pleasure. The Woodlands is a three hundred room resort style hotel that will pamper guests in luxurious style. And those attending business meetings or other types of conferences will be able to hang their ten gallons hats at a room at the George R. Brown Convention Center, a thousand room hotel and meeting facility scheduled to open in downtown Houston in 2016. And finally, the iconic city that never sleeps never stops building hotels, either. Having obtained a whopping forty-eight permits to build hotels within a five year window, five alone will be opening within the next two years within New York City.